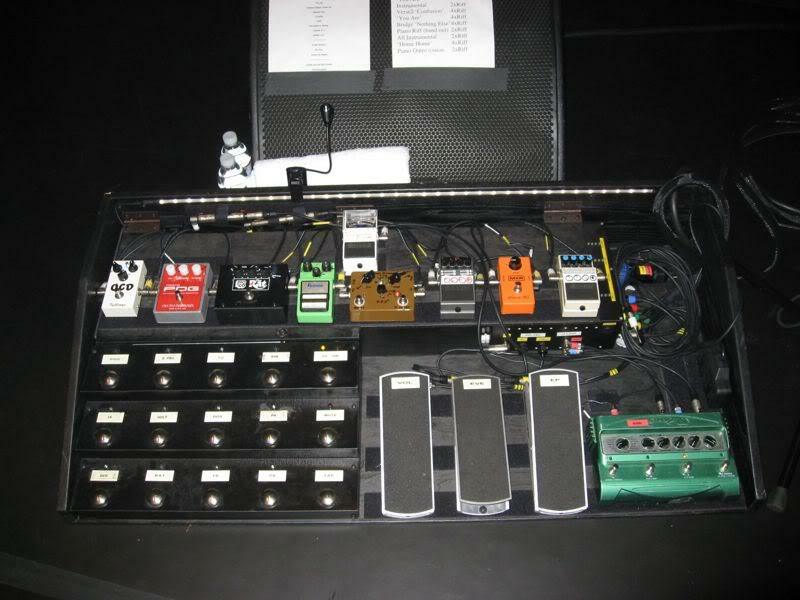 MXR Phase 90 with block logo can be seen in the top row of Jonny Buckland's pedalboard in this image. John Frusciante's MXR Phase 90 with block logo can be seen in the middle of his pedalboard (circa 2000) in this photo. "I also have...the old MXR Phase 90 for sure." The original MXR Phase 90 was released in 1974, and it was the first pedal sold by MXR. Roger Waters used it during the 1974-75 and 1977 tours, mainly for Raving and Drooling (an early version of Sheep). David’s elaborate pedal rack as seen in his new recording studio, Medina (Hove, Brighton, UK). "At that point King was living up to his already well-established legend with the help of an MXR Phase 90 phase shifter pedal (hey, it was the ’70s!) 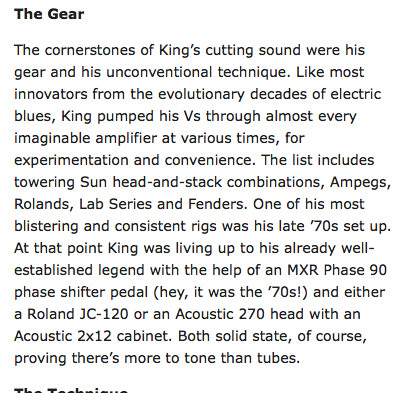 and either a Roland JC-120 or an Acoustic 270 head with an Acoustic 2x12 cabinet," reads [this article](http://www.gibson.com/en-us/Lifestyle/ProductSpotlight/Tone-Tips/albert-king-his-10-best-422/). 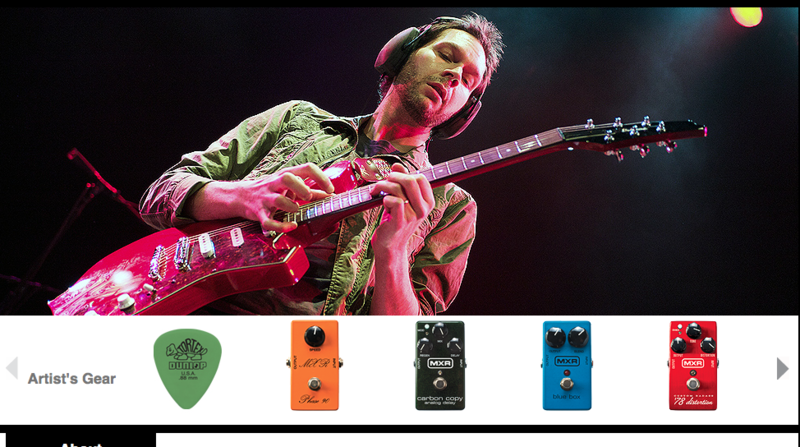 According to Dunlop's [website](http://www.jimdunlop.com/artist/paul-gilbert), Paul uses an MXR CSP026. "Oh, and here's the MXR. I have bought vintage, as you can see. Very used. Original MXR, kind of like the one I would've probably had for Frampton's Camel." - Frampton about MXR Phase 90. According to [this](http://www.guitargeek.com/brian-robbo-robertson-thin-lizzy-guitar-rig-and-gear-setup-1974/) Guitar Geek rig diagram, Brian Robertson used an MXR CSP026. 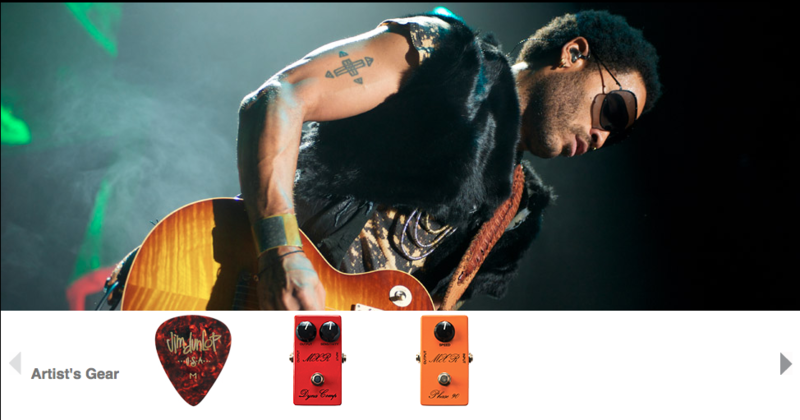 Lenny Kravitz' gear includes a '74 Vintage Phase 90 pedal, according to [Dunlop's website](http://www.jimdunlop.com/artist/lenny-kravitz). An MXR script phaser can be seen on Mr. Moore's pedalboard in the photograph, no led is visible on the phaser. This pedal is visible in Instagram photo posted by Wilson. An Mxr Vintage Phase 90 can be seen on Jonathan's board at 2:28 on this video. If I had to choose one effect that MXR is best at, I’d probably say the phaser. I love the Phase 100 and the Phase 45 pedals—I own both—but for me, the quintessential phase box is the 90. The 45 is a two-stage phaser, while the 90 is a four-stage unit. Some might claim the 45 is milder, making it more musical, but I like how much phase you can dial in with the 90. It can be subtle and svelte, or it can be a whooshing monster. It sounds solid across the knob’s entire sweep. Plus, I kind of like the unintended affect it has to my tone, since it adds gain and volume. You can hear it getting a workout on our cover of the Bad Brains song “Leaving Babylon.”"
An MXR CSP026 can be seen on Pete Thorn's pedalboard, in this photo, from Strymon's [website](http://www.strymon.net/2014/07/07/waiting-pictures-pedalboard-feature-pete-thorn/). In this photo, Depper's vintage MXR Phase 90 is visible. Lush phase tones, simple operation. Perfect for Hendrix or EVH. Just a great phaser. Really lush phase tones. It only has one knob, but that's all you need. Mine is powered by my Voodoo Lab Pedal Power 2 Plus, via the 9-volt battery adapter cable, fed through a small hole [drilled] in the bottom plate. My only other mod for this pedal would be an LED indicator light. I can never remember if the default setting is "on" or "off" when I power-up my board. MXR's premier pedals were the Dynacomp, Blue Box, Distortion + and the Phase 90. In 1974, David was introduced to the simple Phase 90 by Phil Taylor. From that point on, the Phase 90 has been a staple to getting that Gilmour sound. There have been reincarnations of this pedal, but the one you'd want to have is the script logo '74-'77 version before changing internals as well as the now recognized box logo. The new reissue script is a faithful recreation of its father. There's a richness to this effect that is missing in all other phase pedals. If you can get over the fact that this is exactly like they were made in 1974 (9V battery connector only; no LED), this is the one to have. I use a 9V battery adapter to plug into my power supply and it's pretty obvious if the effect is on or off, so I don't sweat the small stuff. Este pedal es una roca. El mío es del 82. Literalmente ha sido expuesto a situaciones de destrucción total y sigue aquí, conmigo. No comprendo para que alguien necesitaría más de un knob en un phaser. ¿Hubiera sido necesario un led? ¿acaso no tienes oídos?